Find yourself in good company as we raise our glass to a few trailblazers. These women come from a variety of business sectors ranging from the movie industry to the tech industry. All of you stand with greatness and grace. All of you are smart leaders doing innovative things, changing the world not just now, but in ways that will have a lasting impact on the way business is conducted going forward. Join us on Saturday, April 29, 2017 for the Power Player Discussion. This is an opportunity to discuss solutions to issues in the workplace, how to transition into consulting, how to move from corporate to your own business, how to balance family life and career and much more. 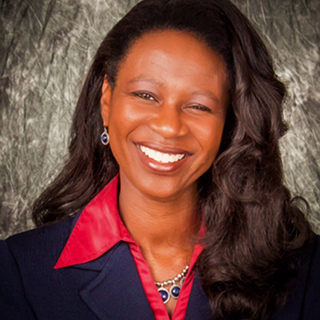 Stephanie Pullings Hart is the Vice President, Technical & Production for Nestlé USA. From January 2013 till March 2016, Stephanie was the Executive Director Technical & Production, Nestlé Australia Ltd. She was responsible for safety, quality, engineering, regulatory & scientific affairs, and manufacturing for Australia, New Zealand and the Pacific Islands. Stephanie has been a Nestle employee since 1995 and throughout her career has had roles of increasing responsibility both in manufacturing, research and development and human resources. Stephanie also worked as the Vice President Operations, Nestlé Nutrition – Jenny Craig from January 2010 to December 2012. Preceding Jenny Craig, Stephanie worked as the Program Director at the Nestlé International Training and Conference Centre located in Vevey, Switzerland where she was responsible for developing, recommending and delivering learning strategies and plans to build competencies for over 1000 Nestlé employees. Stephanie was appointed to the Forum of Young Global Leaders in 2008, an integral part of the World Economic Forum. She volunteered with the Girl Scouts of America for 6 years, where girls enhance their confidence and character in an effort to make a positive impact on the world. In 2005, she received a “40 Under-Forty” achievement award from the Network Journal Magazine in recognition for her professional accomplishments and the impact that she has had on the business industry while actively contributing to the community. 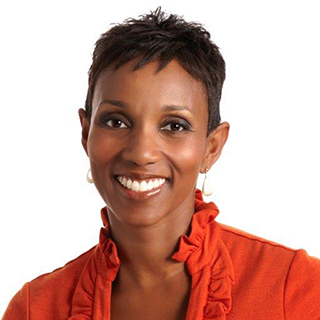 Stephanie is a Member of Delta Sigma Theta Sorority, Incorporated, a non-profit organization focused on providing assistance to local communities throughout the world and a previous member of the Nestlé Australia and Nestlé New Zealand Board of Directors. She holds an Executive MBA (Benedictine College, USA) and Bachelor of Science degree in Chemical Engineering (Florida State University, USA). 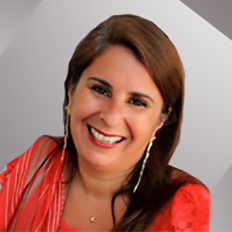 Martine Melloul is the founder of Kali Pictures, a production company specializing in independent features. Before devoting herself to the entertainment business, Martine served as the Executive Vice President of BCBG MAX AZRIA, a global fashion house with a portfolio of more than 20 brands. She worked at the company for 17 years before deciding to take on the world of film. She’s produced two features so far. She has produced films such as Breaking and Existing and False a Memory Syndrome. We welcome Margaret Crist to the Power Player Panel! Margaret has nearly 30 years of engineering experience with the defense industry. Margaret graduated from UCLA with a Bachelor of Science degree in Electrical Engineering. She started her career at General Dynamics and through the years continued working within the defense industry. She has worked in many engineering areas to include hardware, test, and system design emphasizing Information Assurance. For the past decade, Margaret has been working at ViaSat where she is currently the Engineering Director for Tactical Data Links at ViaSat, Inc. in Carlsbad, California. Welcome leader, visionary and motivator, Michelle Jones, a trailblazer, paving a path to success at her own lightning speed as the CEO and president of Entech Consulting Group. Michelle, with her Civil Engineering degree, has grown a successful environmental and program/project/construction management firm to service clients across the Western United States. Her client list reads like a who’s who in the public and private sectors including Washington Department of Transportation, CALTRANS, LA Metro, SANDAG, OCTA, Sound Transit, Top Engineering and News Record Engineering firms and many others. Michelle has nurtured the firm to earned prominence in Black Enterprise’s “A Woman of Power Series” and CNN Money/Fortune’s Most Powerful Women in Small Business. Through it all, she has maintained her sense of community. Michelle has served on Clean Air advisory boards, held terms as an Environmental Commissioner, and participated on various small business boards. Her most recent advocacy efforts have included increasing small businesses participation in public contracting. 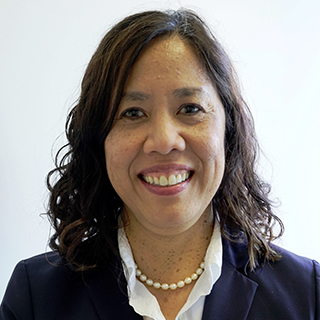 Michelle has served on the CALTRANS steering committee to develop the Calmentor program, a mentoring program that encourages a voluntary mechanism for larger, transportation engineering and consulting firms (mentors) to pair with small businesses (protégées) for business growth. As part of her active involvement in the program, former California Governor, Arnold Schwarzenegger, signed an executive order expanding Calmentor program statewide. The Calmentor program remains a legacy program serving small businesses in the Architectural and Engineering industry. In her local community, Michelle has served as the past Chapter President of Jack and Jill of America, North County San Diego Chapter. Under her leadership, the Full STEAM Ahead program began, partnering with Qualcomm, exposing students to science, technology, engineering, art and math fields. Michelle is also founder of the Sisters of Temecula Valley, a non-profit social fundraising organization that raises money through hosting cultural events in the local community to promote youth achievement, cultural consciousness and women empowerment. Some of their previous projects have included partnering with Uplifting Brothers, Inc. and the Murrieta Valley Unified School District to bring the College Bound Pomona organization and their STEM academy program to the University of Riverside. Our latest fundraising efforts include awarding youth scholarships to underrepresented youth and support women in need in our community. Michelle exemplifies the talent, character and community spirit defined by successful businesswomen today. Jones is a trailblazer for a new generation of women leaders. She holds strong to her values, with an entrepreneurial spirit and excitement for life that inspires women around the world. @2017 All Rights Reserved to TEMECULA VALLEY WOMEN'S EXPO. Designed by TAMLYN.